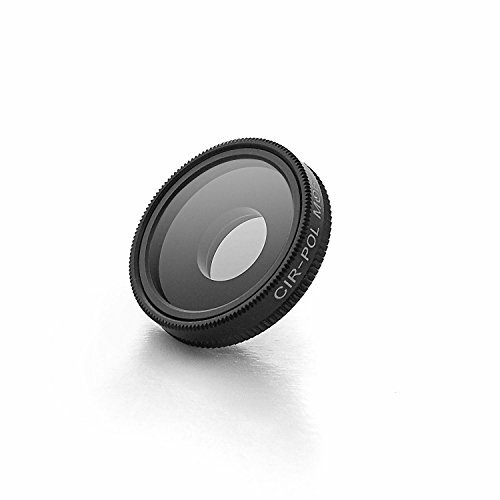 bitplay offers a complete range of camera lens for iPhone, bringing real pro-level optics to mobile photography and enough diversity for almost any shooting requirement. Imaging performance matches standalone pro-level camera lenses and SNAP! 's fast, secure interface works with the entire range. CPL lens not only protect your iPhone camera, but also it allows the images to be vivid and have less unwanted glares. Useful when: - Avoid glare on the glass / window surface and capturing objects behind glass. - Capturing flowing water like waterfalls without glares or reflection. - Better color rendering and delivering dramatic effect. Especially when taking pictures in bright lighting to capture blue skies and white clouds. - Makes the color purer and more vivid. (Your food images will look even more delicious). If you have any questions about this product by bitplay, contact us by completing and submitting the form below. If you are looking for a specif part number, please include it with your message.